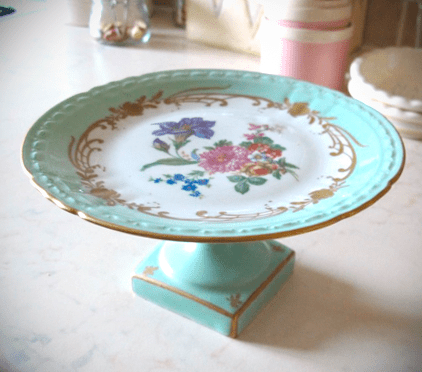 I found this beautiful vintage French cake stand at The Olde Watermill at Bourton Le Clay. My friend Jo tipped me off about this place, it’s a lovely old watermill that now houses antique shops as well as craft, books, gifts and a garden centre. I picked this up for the bargain price of £5.